While planning for your trip, it is likely that you wonder which airport in Vietnam you should fly to in order to ensure that visiting the cities and landmarks you are interested in becomes an attainable travel goal. Also, if you are searching for flights to Vietnam, it is advisable to find out which airlines operate routes to its different air terminals and whether you will have to make a stopover or non-stop flights are available. Some of these airline companies will be listed below. Unless you are taking a tour all around the country, we recommend you make this decision according to how close the chosen airport is to sites of interest, as you will always get the chance to fly from one main airport to another, as is the case with Ho Chi Minh City and Hanoi. Thus, the most important international airports in Vietnam are Noi Bai located in the north (serving the capital city Hanoi), Tan Son Nhat situated near the largest metropolitan area of Vietnam –Ho Chi Minh city or Saigon -in the south, Da Nang in central Vietnam, and Phu Quoc also in the south, where international operations started in the recent years. International airline companies operate regular flights to Vietnam from many airports in Asia as well as from cities across the world. Among these carriers we count Aeroflot, Air France, Air Busan, Air China, Air Macau, All Nippon Airways, Asiana, Bangkok Airways, Cathay Dragon, Eva Air, Emirates, Hong Kong Airlines, Korean Air, Malaysian Airlines, Philippine Airlines, Qatar Airways, Scoot, Singapore Air, Thai Airways and Turkish Airlines. Additionally, some European airlines like Edelweiss, Finnair and LOT offer direct flights to the international airports of Vietnam on a seasonal basis. Once in the country, backpackers and travellers who wish to go from south to north, that is, from Ho Chi Minh city to Hanoi, or take the reverse journey, can do so by air thanks to airlines running these and other domestic services within the country, namely Vietnam Airlines, JetStar Pacific and VietJetAir. Which airport in Vietnam should I choose? This airport is in the north of Vietnam and serves the capital city –Hanoi– to be precise. Being the largest air travel hub in the country, its two terminal buildings stand forty minutes away by car from the city centre and about three hours and a half from the popular Ha Long Bay. Terminal 1 is entirely dedicated to domestic operations, whereas Terminal 2 sees the arrival and departure of thousands of international travellers. 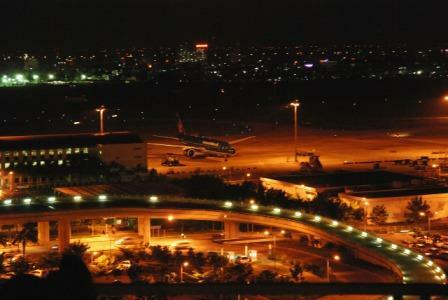 Noi Bai or Hanoi airport is the primary hub for the flagship carrier Vietnam Airlines. This is the southernmost airport in Vietnam, and therefore serves not only Ho Chi Minh city (formerly Saigon) but also most regions in the south east of the country. It is known as the busiest hub in Vietnam. Tan Son Nhat International is strategically situated a twenty-minute drive from the downtown. Its two passenger terminals are divided into sections from which domestic and overseas operations are handled. This airport in Vietnam serves the central areas of the country and is ideal for travellers who want to commute to Hoi An and My Khe beach. Da Nang airport has a domestic terminal and an international one, which lie just ten minutes by car from the urban centre. This airport is the closest to Phu Quoc island, while the city can be reached after a twenty-minute drive from its facilities. As of today, it is considered to be a minor hub, even though it handles several international routes thus serving as a supporting airport in the south of Vietnam.